COURSE DESCRIPTION: Do you have a dream of writing for children? Is one of your writing goals to work on your writing for children career? Are you stuck on how to get started? Then this class is for you. Students will set individual goals the first week, whether they want to publish picture books for children, write a successful YA fantasy e-book series, or see their byline in children’s magazines, for example. The instructor will help students with the steps and resources to meet their goals; provide feedback on one article, story, or beginning of novel; encourage interaction with other children’s writers and participation in discussion; and finally help writers network and set long-term goals. If students are interested in learning about professional organizations and how to submit to agents and editors, these topics will also be discussed. This class is geared toward any writer who wants to write for children, from toddlers to teenagers. During this first week, students will set individual goals for their writing careers. They will focus on what they would like to do in the next six months, in the next year, and then five years down the road. Students will introduce themselves and their background to the instructor and other classmates. The instructor will help students create a realistic plan to meet these goals. Assignment: Introduction to classmates, create career goals, start on a plan to achieve these goals. Once individual goals are set, students will explore resources recommended by the instructor to help reach these goals. Students will discuss what they are learning through this exploration and share important points with other classmates. Assignment: Read material provided by instructor to meet class goals. Share your thoughts on the private classroom blog and any tips you think would benefit other writers in the class. Students will begin a rough draft, which fits with their goals. This may be the beginning of a novel, a magazine story, a nonfiction article for kids, or a picture book manuscript (as well as anything else!). Students will write as much as they can this week to turn it in for feedback during the last week of class. Assignments: Continue exploring resources and write a rough draft for instructor (and possibly classmate) feedback. Ask questions that are surfacing after being in class for over two weeks and discuss professional organizations. The instructor and classmates will provide feedback on the draft that was turned in at the beginning of this week. Depending on the classmates and their interests, students may also “critique” one another. Instructors will also help students create long-term goals for the new year! Assignment: Provide feedback on a classmate’s draft. Fill out an evaluation. Work on long-term goals for writing career. Discuss submitting queries and manuscripts to agents and editors. Materials needed: Most materials will be provided by the instructor. You will need: a computer with Internet service, e-mail address, and ability to sign-up for a free Google account to access a private Blogger blog. Notes: We often have questions about how the class operates. The Blogger blog is a virtual classroom. Materials are loaded to the group each week through e-mail. Students download materials and work on them at their own pace and time throughout the week with instructor support by e-mail and the classroom blog. 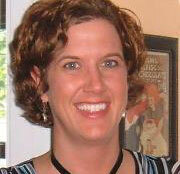 ABOUT THE INSTRUCTOR: Margo L. Dill is a freelance writer, editor, speaker, and teacher, living in St. Louis, Missouri. Her work has appeared in publications such as Grit, Pockets, True Love, Fun for Kidz, Missouri Life, ByLine Magazine, and The Chicago Tribune. She is a columnist, instructor, and contributing editor for WOW! Women On Writing. She is the memoir and children’s/YA novel editor at High Hill Press and the assistant editor for the Sunday Books page in The News-Gazette. Her first book, Finding My Place, a middle-grade historical novel, is published by White Mane Kids. High Hill Press will publish her children’s picture book, Lucy and the Red Ribbon Week Adventures, Guardian Angel Publishing will publish the picture book, Maggie Mae, Detective Extraordinaire, and the Case of the Missing Cookies. She recently signed a contract with Rocking Horse Publishing in St. Louis to publish her young adult light paranormal novel, Caught Between Two Curses. She writes a blog called, Read These Books and Use Them, for parents, teachers, and librarians. She owns her own copyediting business, Editor 911, and is an instructor for the WOW! Women On Writing Classroom. She loves speaking to writing groups, teachers, and young writers and has presented several workshops to all ages. When she’s not writing or speaking, she loves spending time with her husband, stepson, daughter, and dog—Chester, a boxer. You can find out more about Margo by visiting her website: http://www.margodill.com. COST: $95, which includes access to a Blogger blog; a free critique from the instructor ($50 value); and private e-mail discussions with instructor as needed. **Please note: Former students have the option of staying in the Blogger blog. BUY NOW: WRITING FOR CHILDREN: How to Get Started and Take A Hold of Your Career by Margo L. Dill (4 weeks, starting 3/18/2015) Limit: 20 students. Early registration is recommended. BUY NOW: WRITING FOR CHILDREN: How to Get Started and Take A Hold of Your Career by Margo L. Dill (4 weeks, starting 6/10/2015) Limit: 20 students. Early registration is recommended.